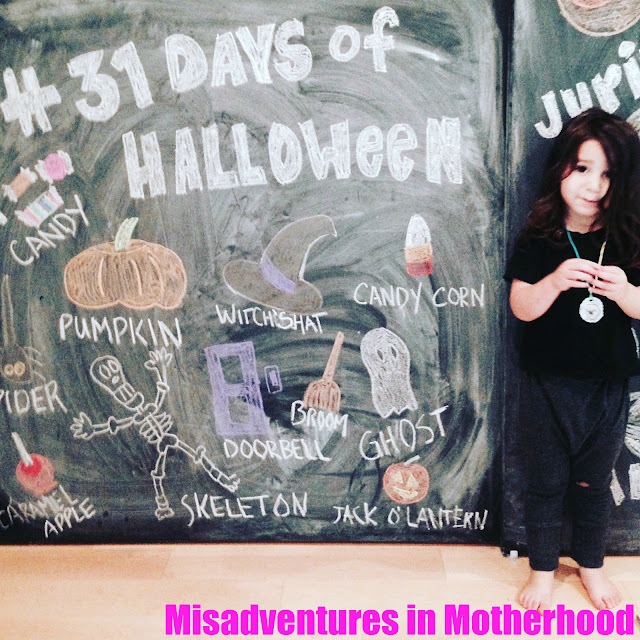 October is a pretty big month in our household. Not only is it the month of my birth, but also that of my Mother-in-law, my Stepfather and the Haasbund. And of course, there’s Halloween, which is not only my favorite holiday, but was also the day the Haasbund and I hitched our wagons. Who gets married on Halloween, you ask? Crazy people who plan their desert wedding around the full moon and who want a discount because it’s technically considered a “holiday” weekend. So while I had high hopes of making this post an ode to all things fall, since I’m also co-chairing the Halloween party committee (and am on the film committee and the picture committee) at Zippy C’s preschool, I had to settle for a quick bit about the most treasured of Haas Family traditions: #31DaysofHalloween. This magical farm is home to not only the most amazing Pumpkin festival, but is also open year round for other seasonal adventures. 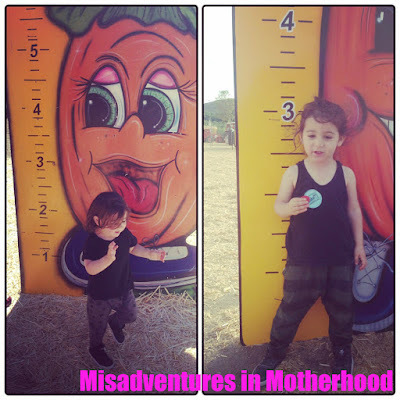 It’s hands-down the best place to pick your own pumpkin right from the vine and is a mecca for all the local LA preschools. It has a tractor-drawn train ride, a hayride that enables you to gander at the whole property, corn mazes, labyrinths, a slide made out of a tractor, tricycle tracks, animatronic chickens. I could go on for another paragraph or so about this place alone but either, a) you already know about it or b) you’ve already grabbed your keys and are out the door. 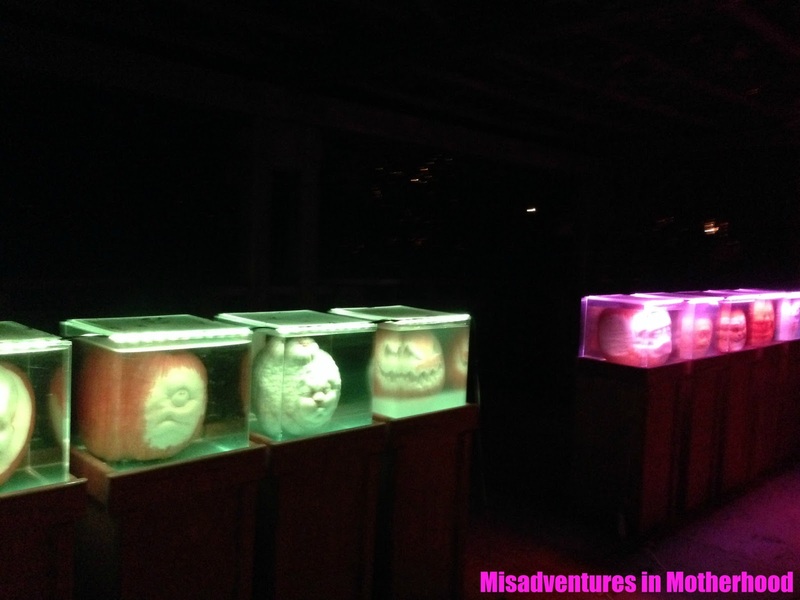 You have to book tickets to this amazingly creative feat of pumpkin artistry well in advance. Because of that, our tickets for this year’s event are for this upcoming Sunday. But if last year was any indication of how amazing it was, there were actual life size dinosaurs, there was street art, famous characters both animated and real life from movies and so much more, all made out of pumpkins!! And there was a super cool (possibly creepy if you don’t lean toward the macabre) display of “heads” displayed in cubes of formaldehyde. This place is amazing, but if you have a newly mobile toddler, or just one who is prone to running away from you, I would highly suggest equipping them with a glow necklace, glow in the dark clothes and any other such stuff that might make it easier for you to spot them in a crowd. (possibly a leash, even?!) Also, it should be noted, tickets are not cheap at $25 a pop (yes, you even pay for the little ones 3 and over). Admittedly a drive from LA (about 1.5 hours), this U-Pick Farm is certainly worth the mileage. While I haven’t been there in a few years, we’re excited to go back this weekend. The last time I went there was apple picking, pumpkin picking and festivities galore. Rides, a shop, and of course, who could forget (and/or resist), that wafting smell of freshly baked cider donuts. To me, this felt like the closest approximation to a good old fashioned East Coast fall and was truly an homage to all things autumnal. Palm Springs (and the outlets) are not too far away, so if you feel like making a weekend out of it, no one would blame you for it. Seeing as C is (yes, still) obsessed with trains, this one seemed like a no brainer. That is, until we tried a few times to make it happen. Conveniently located next to Travel Town, this ghoulish set up seems to be THE thing for families looking for a non-threatening haunt. Granted, it was naïve of us to think we could saunter up to the line at 9pm when it closes at 10, it also appears it was naïve of us to even attempt it at 6:30PM when the ride opens at 7. Advice from a friend who gave it a successful go was to show up around 6PM with picnic dinner and lots of ways to entertain your child in tow (games, things that light up, technology). This can become expensive as the tickets themselves are $15 each, but all proceeds are a direct donation to the LA Live Steamers to keep the place in operation, something we’ll happily support. 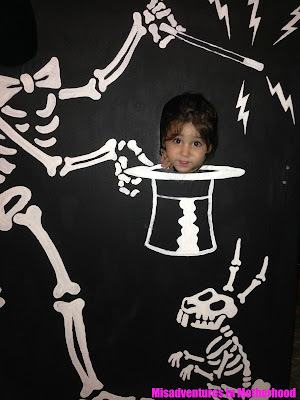 In my craze to get C’s costume made and everything in order not only for his school’s Halloween party, but also for the Haasbund’s birthday, I ALMOST forgot about this amazing place. Thankfully there’s still time to enjoy this, even more so now that the space is open weeknights beginning Oct 21 from 6pm. A true backyard haunt, this wonderland of all things cheeky finds its home on a very generous private citizen’s front lawn. But don’t let that deter you. It’s in fact a sight to behold. Since being taken over by a producer of TV’s The Simpsons, word on the street is that the decorations and interactive elements change, but if, as with The Rise, last year’s display is a mark this is a MUST HIT for families. Not only because it’s FREE (with opportunities to make donations of course), but because it actually holds the children’s interest. 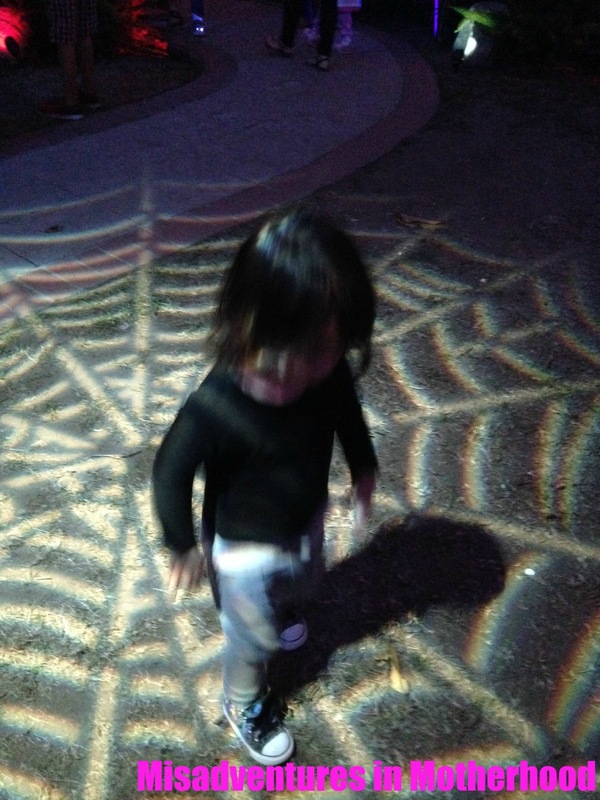 C had a blast getting “caught” in the projected spider’s web, was mesmerized by the cauldron light show and generally loved each and every detail of the very cleverly designed attraction. I might even spring for a t-shirt this year to help support its continuance. Clearly, Halloween is a BFD in our house, just as it is in this town (one of the lucky times we get to relish in the fact so many folks are “in the industry” as these types seem to go big for the occasion). If I can offer any advice for the big night, I would say to get a dress rehearsal going in order to get some decent photos. 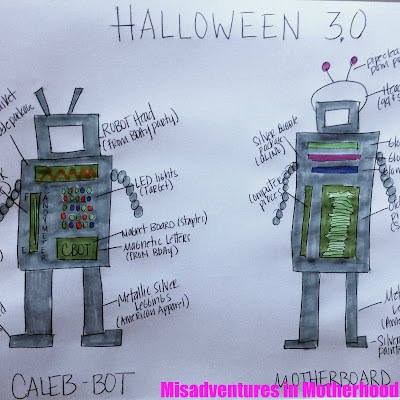 I doubt C will object as he’s proudly telling everyone he’s going to be a robot for Halloween which is why I REALLY have to stop writing and get moving on his costume. But if this post leaves you wanting, this is my go-to spot for discovering all this area has to offer. You’re guaranteed to find something to pique your curiosity, regardless of age or proclivity to be shaken out of your boots.